Hoops twirl, diablos whirl, and acrobats soar—all in a day's work (or play!) for Flip Fabrique, the new kids on the circus scene. 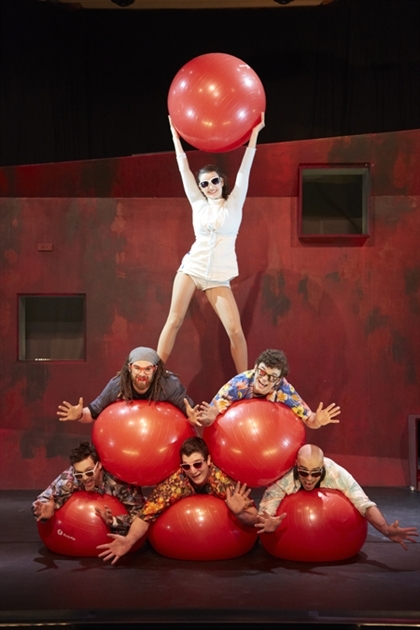 Fun, funny and fresh-faced, this nouveau cirque crew takes athleticism and showmanship to new heights in CATCH ME! (Attrape-moi), a high-flying show that The Huffington Post calls "a smile generator with the ability to enchant children and adults. A must." In an explosion of happiness, this giggle-and-gasp-inducing gang packs all the joy of a summer's day into only 75 minutes. From bouncing off balance beams to scaling a trampoline wall, these cool kids of circus dare you to catch them this spring (before they bound out of town)!